Getting added to the Nasdaq-100 Index is an accomplishment. Staying on it is another challenge. TripAdvisor announced that it will be added to the Nasdaq-100 Index on December 23, which means that just two years after Expedia Inc. spun off TripAdvisor, the hotel review site is among the largest companies in the world. 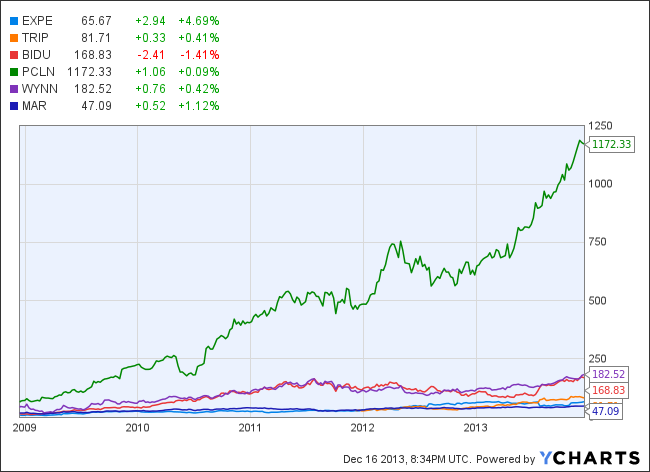 As of mid-afternoon EST today, TripAdvisor’s market cap stood at $12.77 billion. TripAdvisor joins five other travel-related companies, including Priceline, Baidu (which controls travel search company Qunar), Wynn Resorts, Marriott, and Expedia, in the Nasdaq-100 Index. The index includes the 100 largest domestic and international non-financial stocks listed on Nasdaq. With its ascension into the Nasdaq-100 Index, TripAdvisor’s shares will also become part of an exchange-traded fund called PowerShares QQQ ETF. Nasdaq changes the composition of this index annually, and four other companies, including DISH Network, Illumina, NXP Semiconductors, and Tractor Supply Co. will join TripAdvisor as new companies in the index. The five companies consequently knocked off the index were Fossil Group, Microchip Technology, Nuance Communications, Sears Holdings, and DENTSPLY International Inc.
* Baidu is not a pure-play travel company, but it controls travel search engine Qunar, which went public in November and also trades on Nasdaq, and has a $3.12 billion market cap.